Following the success of last months Black & Hasta renditions, the Nike Sock Dart returns in two vibrant Crimson & Blue colourways. 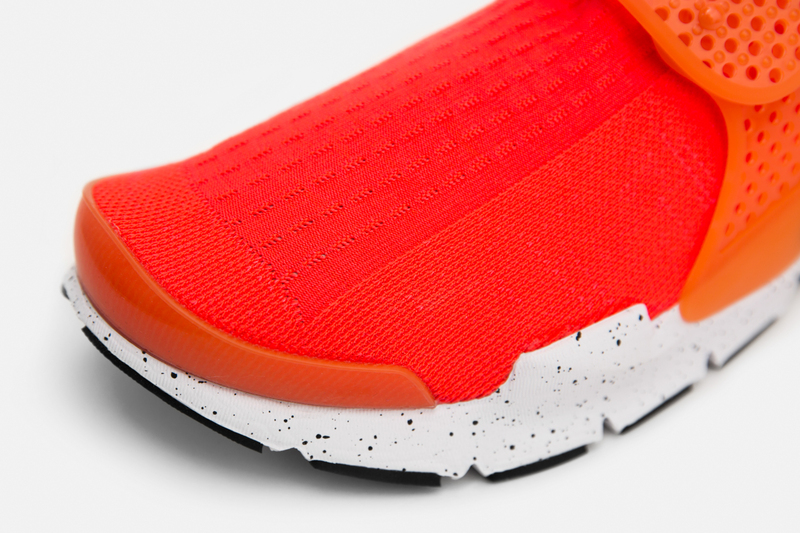 In keeping with the last set, the rubber straps on both blend in tonally with the knitted uppers to create a solid block of colour, sitting atop speckled midsoles. 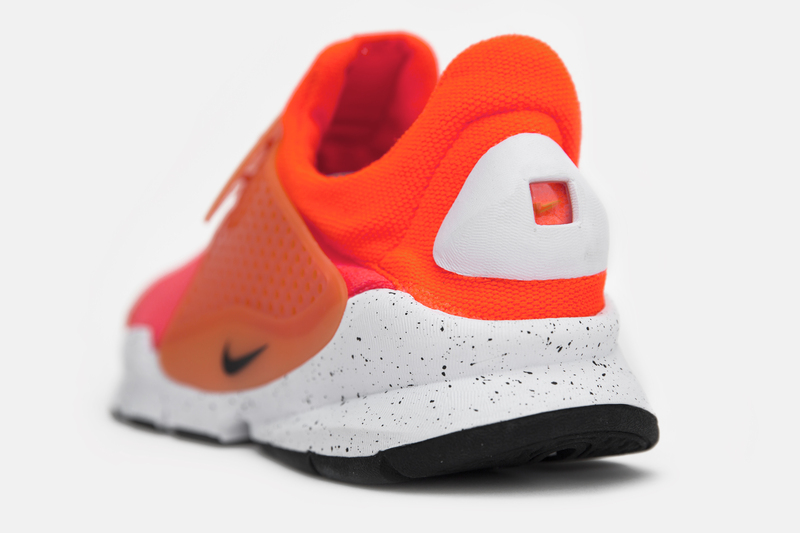 One such example from the teams extensive brainstorming resulted in 2004’s Sock Dart. Although not labelled up as an ‘HTM’ project and individually numbered as with earlier products in the range, it showcases the usual revolutionary materials we’re used to seeing on their output. 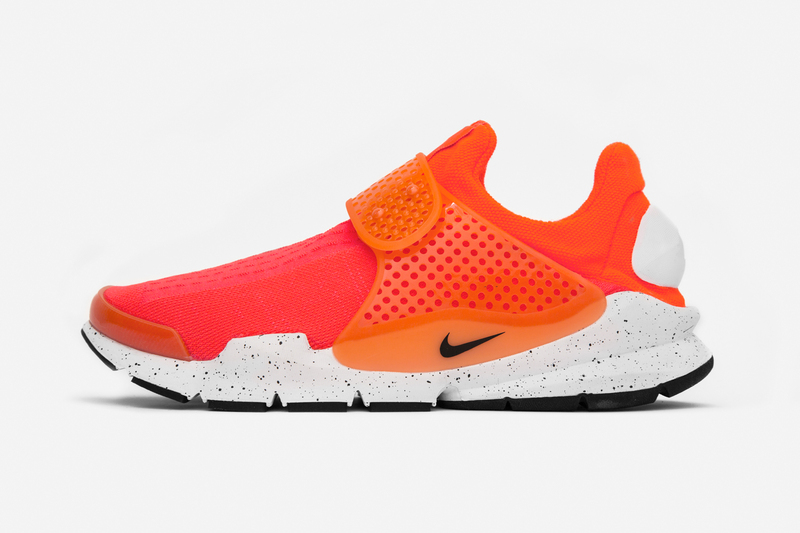 Taking cues from the Presto four years previous, as the name suggests the concept behind the Sock Dart was to create something that gripped to your foot and gave you the feeling of not actually wearing a shoe. 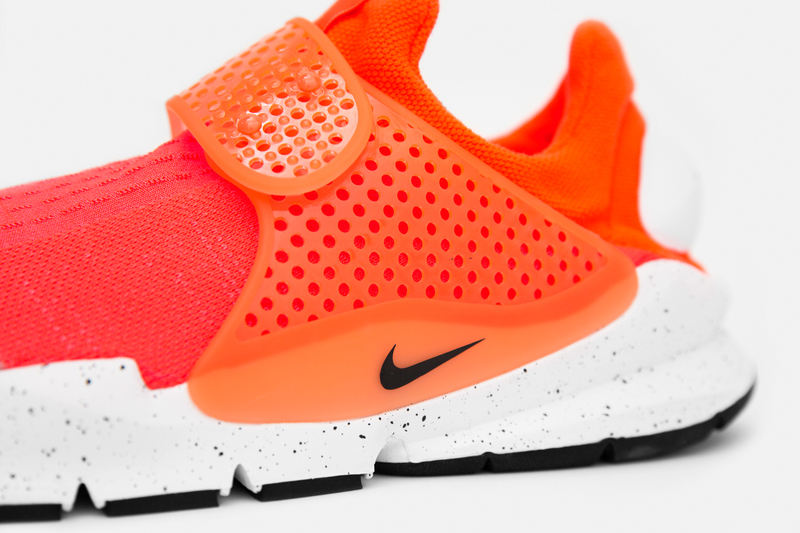 The Sock Dart also gave a slight glimpse into the future with it’s material application, debuting a knitted fabric with selective elasticity dependent on how it was constructed in certain areas (an important precursor to modern day Flyknit Technology). 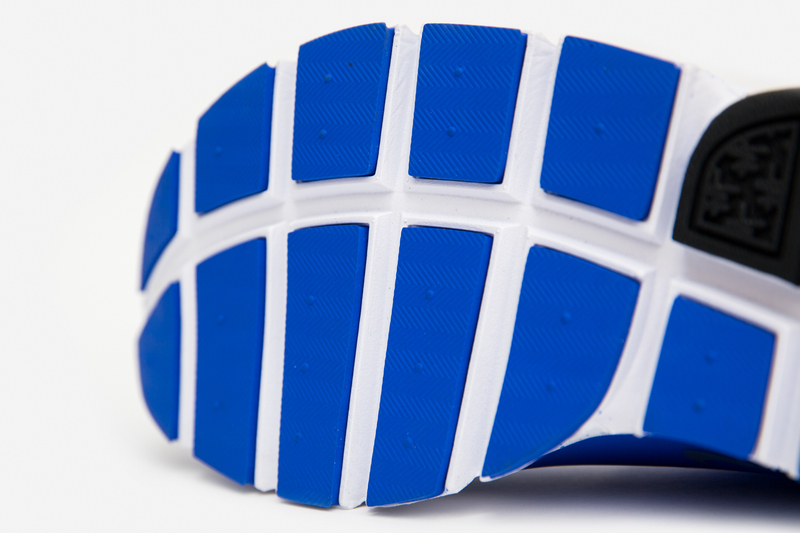 As with the Presto and Mayfly, lightweight Phylon was again used in the midsole tooling to lose as much weight as possible, and combined with the minimal upper it made for an incredibly comfortable ride. 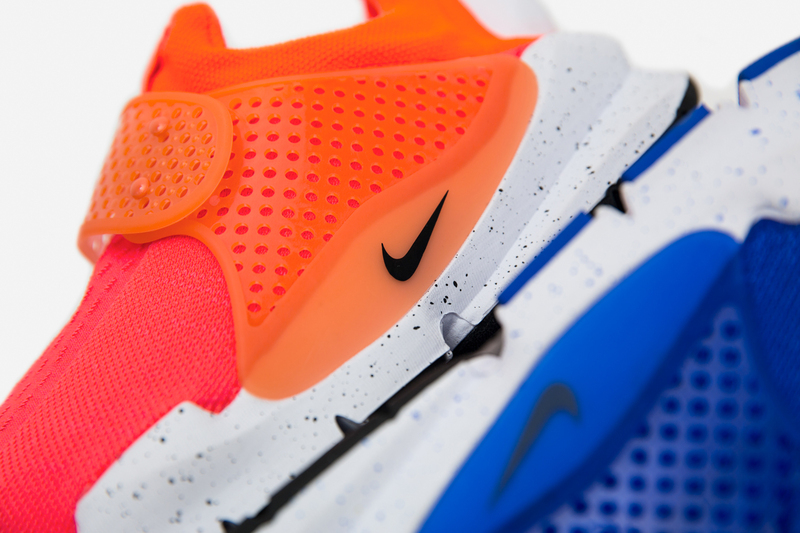 Both colourways of the Nike Sock Dart will be available online and in selected size? 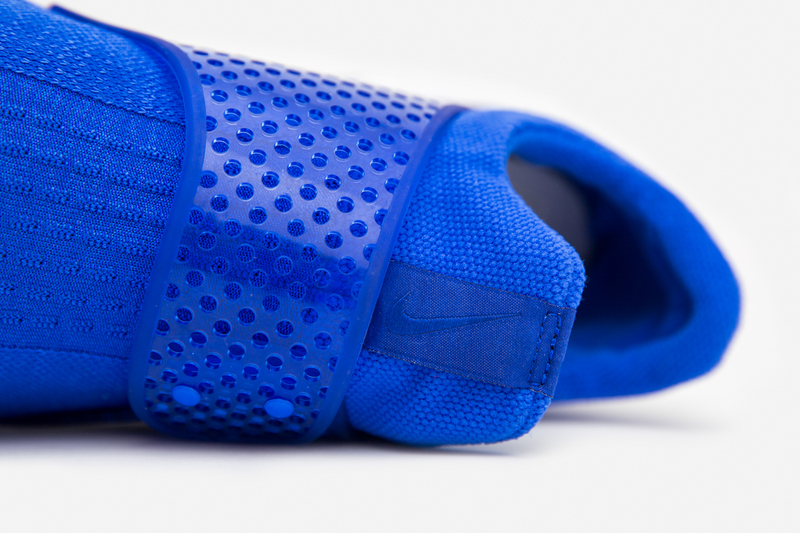 stores on Friday 20th May, priced at £95 and available in sizes UK 6-12 (not including half sizes). 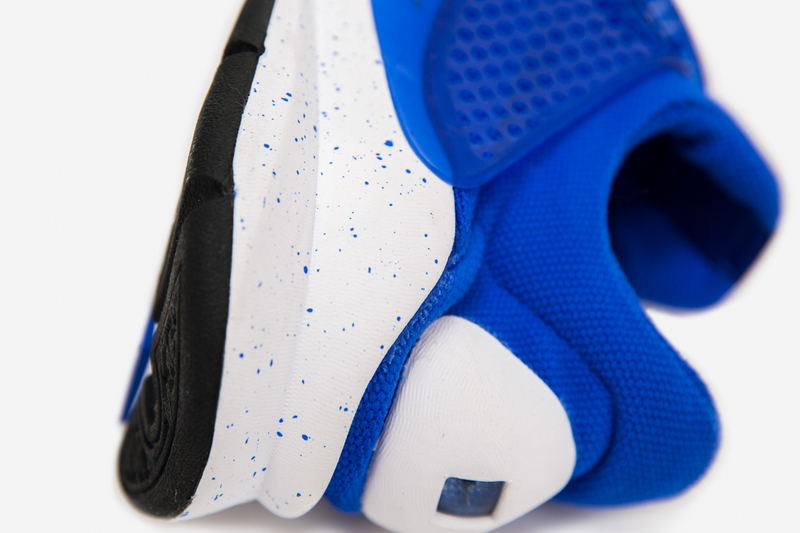 Look out for links posted at 8am over on our Twitter and Facebook pages that will take you directly through to the products.